Based on the thrilling new video game, a novel of fast cars and fearsome criminals. 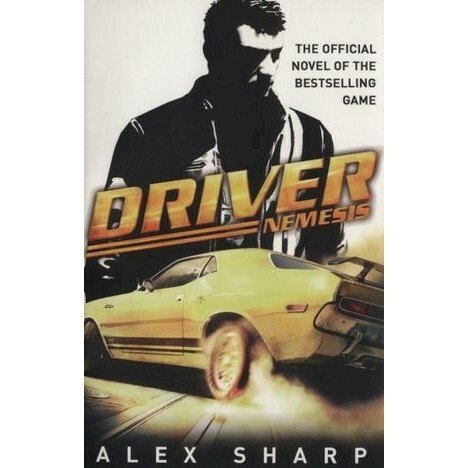 The Driver: John Tanner is the wheel-man, an undercover cop with an awesome driving ability. He earned his stripes racing stock cars through city streets, and now he's the best in the business. But his legendary skills are about to be put to the ultimate test. The Mission: Tanner must infiltrate the criminal underworld of the Indian, the most feared gang leader in New Orleans, a man so terrifying that people claim he has voodoo powers. But when a figure from his past appears, Tanner must face an even deadlier enemy. The Nemesis: Jericho is an ice-cold hit-man with a long-standing grudge against Tanner who will stop at nothing to get what he wants. Tanner is going to have to drive for his life to survive, complete his mission, and stop the city from being brought to its knees. Alex Sharp is the pseudonym of an English thriller writer.